stories: they can be so important. i love my stories. i love to tell my stories. and i get really mad when people interrupt my stories. "the stories we tell about ourselves: they're almost like our infrastructure, like railroads, or highways. we can build them almost any way we want to. but, once they're in place, this whole inner landscape grows around them. so maybe the point here is that you should be careful about how you tell your story. or at least conscious of it. because once you've told it, once you've built the highway, it's very hard to move it. even if your story is about an angel that came out of nowhere and saved your life. even then, not even the angel herself can change it." from NPR's This American Life, episode 504, How I got Into College. so there i was, sitting on the train. and all of the sudden i'm visualizing this vast inner-transport system. 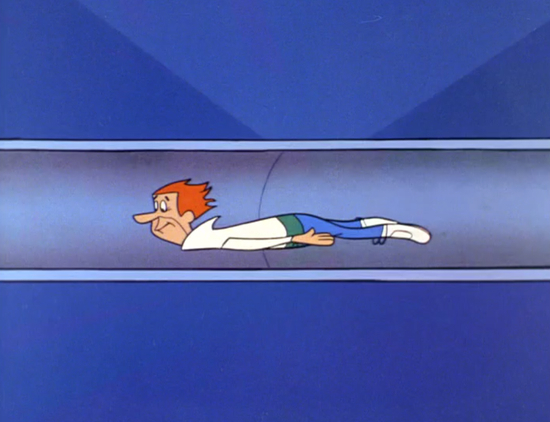 the veins and arteries have become floating roads and magic, jetsons-style transport tubes. i imagine little cars and people zooming around this whole environment i've created over the course of my life. they'd be so lost if i tried to uproot the organized system; how would one find the route to my thoughts? to my heart? would an angel sweep in and try to help them understand why i had tried to uproot the system? we do become so attached to these stories we tell. we become attached to the meanings we have created for them. and we get upset if people try to challenge our stories. my little baby sister got married a few months ago. we were there, his family was there: the families were mingling, mixing their stories. my parents told my sister to tell her "rattlesnake story." my sister refused, saying that we all disagreed with her 8-year-old memory's version of the story. everyone encouraged her to tell it. she did: she told her version of what she remembered and has been re-telling for years. my parents had different recollections, and tried to correct and convince her of some of the mistakes. my sister refused to believe the corrections, though, insisting that it happened to her; her version was the correct one. what does it really matter if the way she tells her story isn't entirely factual? she knows herself through this story. we all know ourselves through our stories. if someone tried to correct my version of any of my stories, i would shoot them daggers with my eyes. my stories are mine. they make me. but back to this idea of choosing to shift or change our stories. even when we decide to consciously shift the way we think about something, or to try to let go of something, it can be very difficult. like, more than difficult. but maybe just acknowledging how hard it is, how this shifting requires lots of other changes. imagine the whole city inside yourself: after a shift, all the inhabitants would require training to find things, new maps, new roads in some places, new off-ramps, the googlemaps would have to be updated.... the list is endless. so just acknowledging that each little story shift can take a lot of getting used to: that's my new way forward. well, that and keeping my fingers crossed for tele-transport technology.